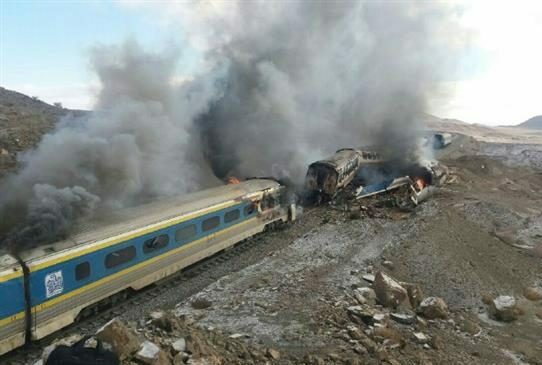 More than 30 people have lost their lives and dozens of others have been injured after two passenger trains collided at a station in Iran’s north-central province of Semnan. According to local officials, the collision happened at the Haft-Khan station near the city of Shahroud around 7:40 a.m. local time on Friday. Mostafa Mortazavi, a spokesman for Iranian Red Crescent Society, told YJC that 45 bodies have been recovered so far. The number of injured is also estimated at 103. Seven rescue teams were dispatched to the site with helicopters and ambulances. 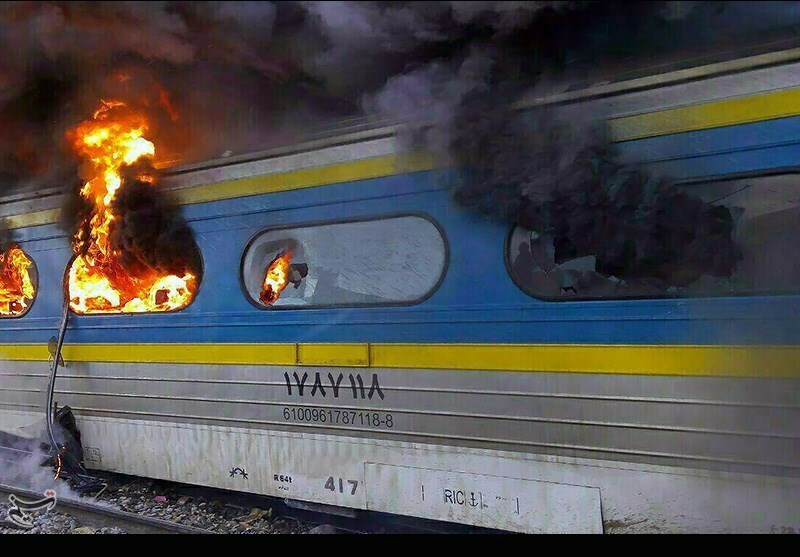 A huge fire also broke out following the accident, further slowing down relief operations in subzero temperatures. Officials said an investigation is underway to determine the cause of the accident. 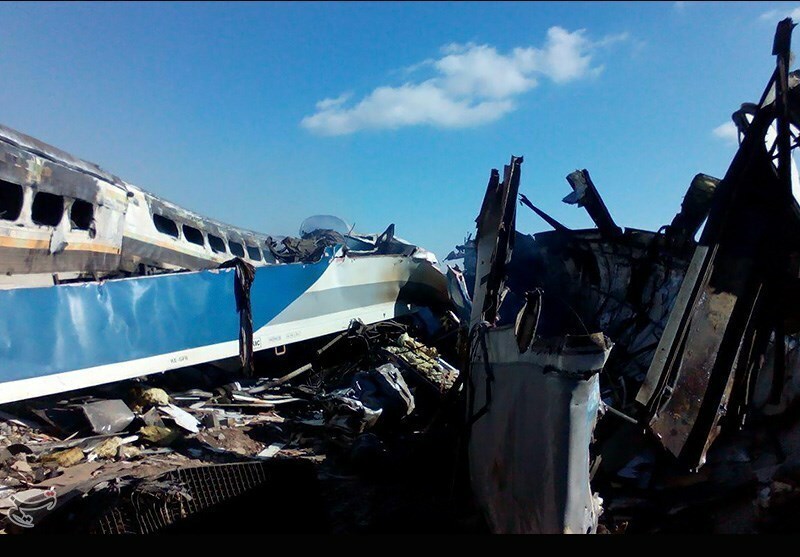 The accident happened when a passenger train that was in motion hit another that had stopped at the station about 250 kilometres east of the capital, Tehran. 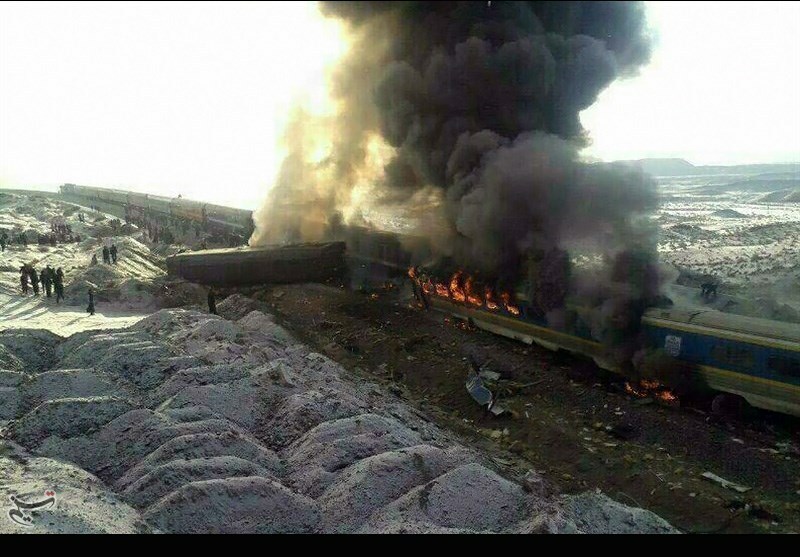 The collision caused four carriages to derail and catch fire.